A typical Chapter 7 requires no payments and is usually closed within 4-6 months unless the trustee finds assets to distriute. If the trustee determines your case is an asset case then it can easily remain open for we;l over a year. This allows time for notices to be mailed to creditors and for the trustee to review any filed claims. Luckily even though your case may remain open the discharge is usually not delayed. A typical Chapter 13 usually requires monthly payments for 3-5 years, although a Chapter 13 can always be paid off in full early/ Also many Chapter 13 cases are dismissed due to non-payment or converted to Chapter 7. You must attend a creditor meeting roughly 30 days after filing. Typically 90-120 days after this meeting you receive your discharge in the mail. 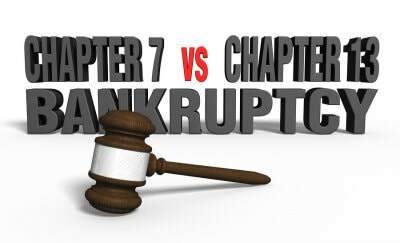 A typical Chapter 7 is closed within 6 months of the original file date. You must attend a creditor meeting roughly 30-45 days after filing. You mail monthly bankruptcy payments to the trustee each month for 3-5 years. After final payment cases are typically closed within a few months and you receive your discharge in the mail.